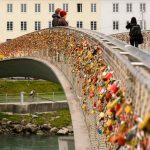 Top 10 best street art cities in the world - Living + Nomads – Travel tips, Guides, News & Information! 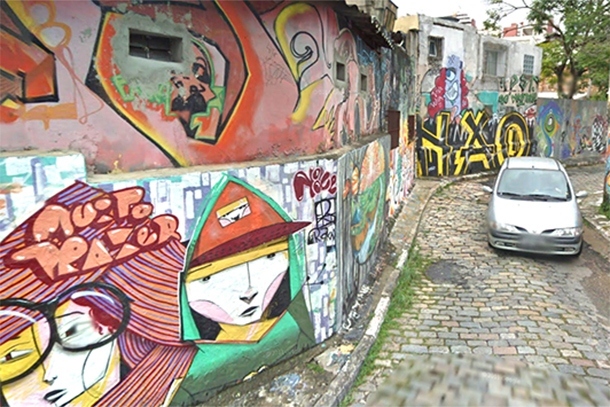 Once considered vandalism, street art has become a global phenomenon with an international scene. 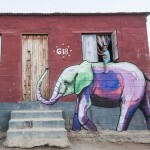 Street artists are traveling the globe, leaving their mark in some of the world’s best street-art cities. The cities themselves are becoming hubs of street art culture, attracting beautiful and vibrant public art that’s in tune with the political and cultural climate. We’ve rounded up some of the best cities in the world for street art, and have the scoop on where to look for it on your next trip. When the mayor of Sao Paulo passed a bill placing a ban on outdoor advertisements, locals worried their city would look dull and bland without the splashes of color that advertisements brought to the streets. They needn’t have worried. Instead of tacky ads, the city’s neighborhoods are now enlivened by a dazzling street-art scene featuring some of the world’s most famous street artists, including Os Gemeos. Where to look: Head over to the bohemian neighborhood of Vila Madalena and take a stroll through Batman Alley. Berlin is a city where the graffiti is not just interesting to look at, it also has deep historical significance. 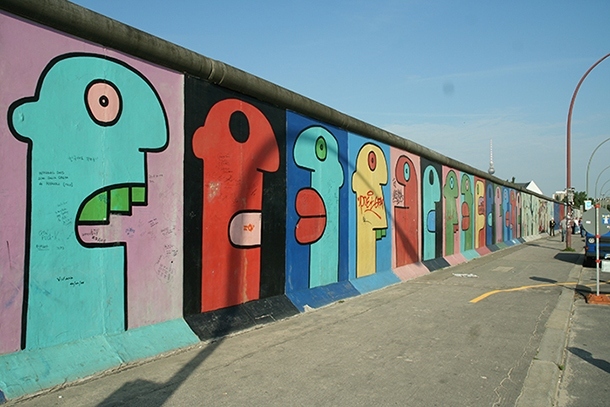 After it was erected in 1961, the west side of the Berlin Wall became the largest canvas in the world, attracting artists expressing messages of peace and protest alike. The east side remained blank. After the wall fell, artists rushed into East Berlin, claiming the formerly military-occupied areas for themselves. Today, street art in Berlin is thriving, and the parts of the wall still standing showcase the work of local and international artists. Where to look: While the Berlin Wall is the obvious place to go, the rest of Berlin also has a lot of amazing street art. Alternative Berlin even offers tours combined with a graffiti workshop in an abandoned margarine factory. The laid-back alternative to Chile’s capital of Santiago, Valparaiso is a city of artists utilizing the worn walls as their canvas. Artists from around the world come to paint the hills of Valparaiso with their creations; some of the best are even commissioned to do so. 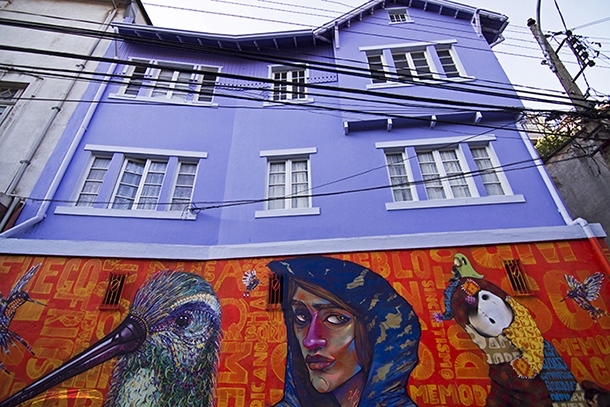 Street art in Valparaiso is highly revered and an essential aspect of the city’s landscape. Where to look: Street art covers the city, but the neighborhood of Cerro Abajo offers a particularly high concentration. Start at the top and go downhill to best observe the bright and colorful pieces. 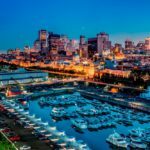 It’s almost impossible to walk through Montreal without seeing one paint-covered wall or a street sign covered in a vinyl stickers. 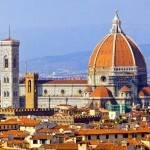 Street art has become a huge draw for many tourists visiting the city, and the huge murals are nearly impossible to miss. 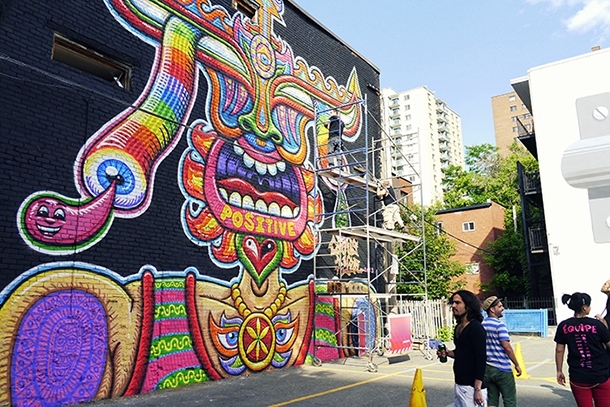 Artists from all around the world come to Montreal to participate in MURAL fest, an eleven-day festival in June where street art-lovers can watch new murals come to life. Where to look: If you can’t make it to MURAL fest, there’s no need to worry—the murals will still be there. 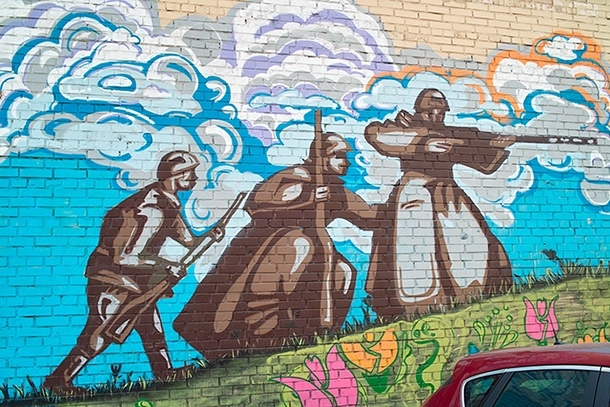 Head down to Saint-Laurent Boulevard, also known as “The Main,” to see some amazing pieces. For years, the streets of Moscow were covered in Soviet propaganda and patriotic posters … and graffiti was considered a criminal act. Though the city continued to be hard on street artists after the fall of the Soviet Union, officials have recently changed their tune. Upon realizing that parts of the city were a too drab, city officials launched the Paint Moscow project encouraging artists to take over the streets north of Moscow’s residential district. Teams of artists from around the world came to brighten up the city with their work, and to ignite an appreciation for what was once looked upon as “dirty graffiti” (though politically-charged pieces can still be very controversial). Where to look: Northern Moscow around the Babushkinskaya metro station is the best place to browse the best of Moscow’s street art. There you can find works from some of Russia’s most famous street artists, including P183, who is best known for creating a giant pair of glasses with a street lamp. Street art has been a tradition in Los Angeles for over three decades, and what was once seen as petty vandalism has now been elevated to high art. 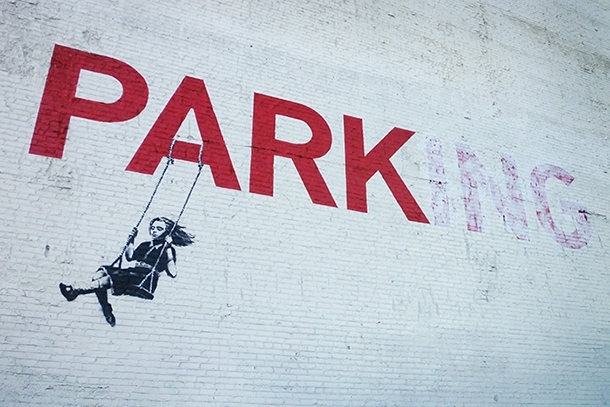 Some of the world’s top street artists, including Banksy and Shepard Fairey have left their mark all over the streets of LA, and have even made a huge impact on some of the indoor galleries as well. 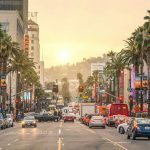 Where to look: Street art can be found all over Los Angeles, but you’ll find many of the most iconic pieces in Downtown LA and Santa Monica. Colombia has had a rough history, and for many years rampant crime discouraged tourism. However, the country has turned over a new leaf and the capital city of Bogota has become a rich center for culture and street art. With incredibly relaxed laws regarding street art, Bogota is now a place where artists can express themselves without getting into trouble with the law. The streets of Bogota have transformed into a platform for artists to brighten up the rougher parts of the city and comment on politics. 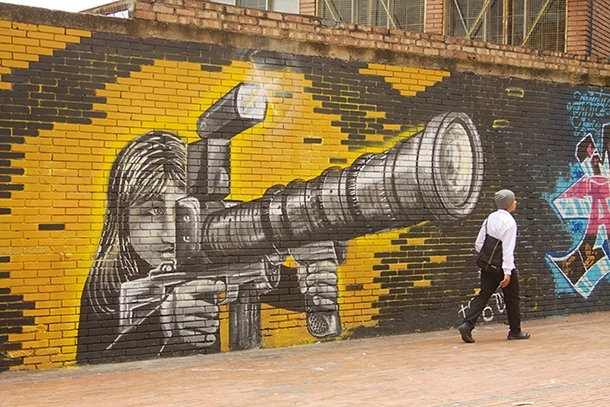 Where to look: Bogota Graffiti offers walking tours that will take you around, showing off the best murals and explaining their historical significance. Though the city enforces strict laws against vandalism, the movement has gained tremendous momentum; artists are even being commissioned to paint murals on social housing. 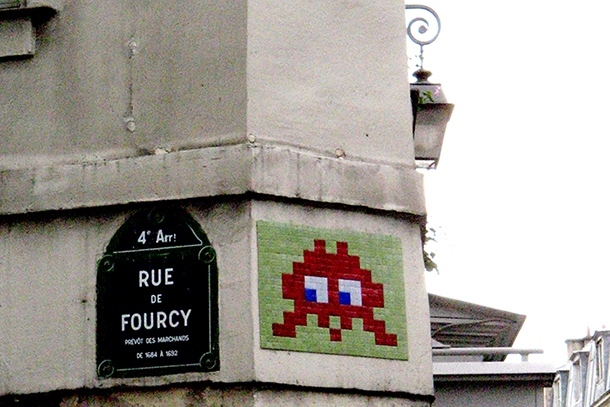 Some of the world’s most famous street artists have emerged in Paris, from the quirky Space Invader to the distinguished JR. Paris is a hub of art and culture, so it makes sense that street art would thrive here. 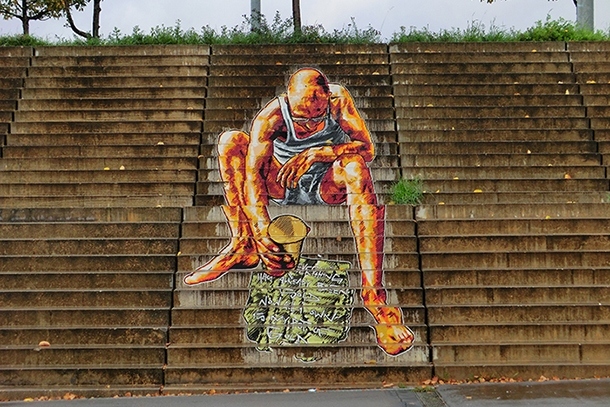 Where to look: Street art can be viewed throughout the city center, but if you head south of the Seine to the Left Bank, you can see the larger-than-life murals that are livening up the community. 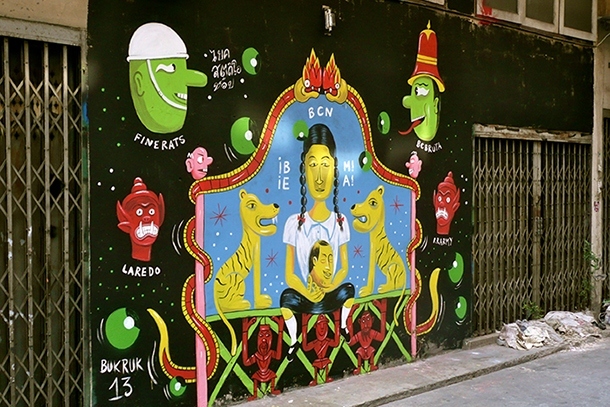 In Bangkok, street art is about bright colors and fanciful characters, It can be found throughout the city, not only on the street but also in malls and BUKRUK, an open-air festival that celebrates a relationship between Thai and European street artists. 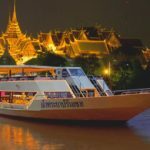 Where to look: The Beat Hotel, where each room has been uniquely designed and furnished by local Bangkok street artists. The Separation Wall that has stood between Israel and Palestine has been a subject of political controversy and, much like the Berlin Wall, has become a canvas for street artists to share images protesting the wall’s existence. Banksy, the most well-known (and simultaneously anonymous) street artist in the world, has visited the wall many times and once called it “the ultimate activity holiday destination for graffiti writers.” However, graffiti on the Separation Wall is not just a means of protest—many artists come to beautify the wall and provide images of peace in difficult times. Where to look: Murals can be found on both the Israeli and Palestinian sides of the wall; however, the neighborhoods surrounding the walls are also a good place to look for street art. 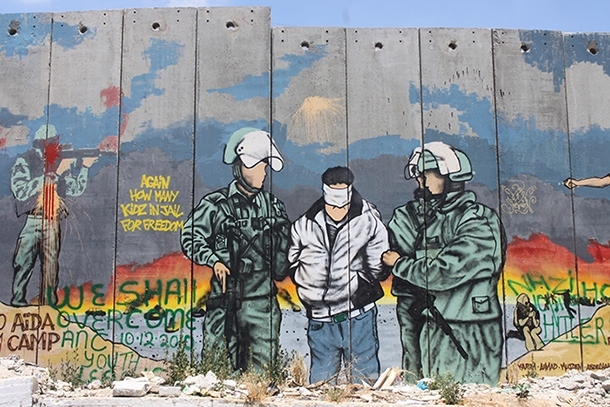 This list shows exactly where you can find Banksy’s most famous pieces in Palestine. 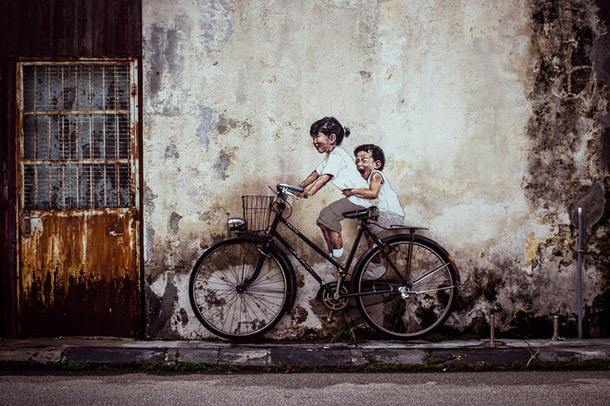 Even UNESCO World Heritage destinations like Penang, Malaysia have embraced and fostered street art as a growing from of culture and tourism.